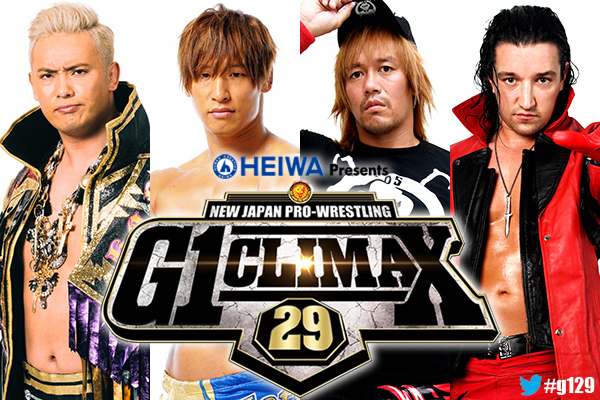 Okada, Ibushi, Jay White, Naito will all be part of G1 Climax 29 opening day in Dallas! On July 6, G1 CLIMAX 29 will kick off at the American Airlines Center in Dallas, TX. We can confirm that the four headliners at Madison Square Garden—Kazuchika Okada, Kota Ibushi, Tetsuya Naito, and Jay White— will all be making their return to the US to be a part of the opening day. G1 CLIMAX comes to the US for the first time in Dallas, TX this summer, kicking off a grueling month-long tournament featuring the top wrestlers of New Japan Pro-Wrestling. See you in Dallas! *The “G1 CLIMAX 29” entrants will be announced at a later date.